-4 degrees and as comfortable as could be. When you are outside in the cold and you know that everything is going to be OK, that's how I would describe this bag! This is the kind of bag you just can't wait to get into. Very warm (after about 15 seconds, then it warms right up). At -4 degrees it does everything I expect it to do. I'm a warm sleeper and most of the time it's unzipped. Packs great and puffs right up when you are ready to sleep. The bag is perfect for what I do, very durable heavy duty zipper, very well made. This bag is seven years and it looks as good today as it did when I first opened it . I purchased this bag in January of 2012 to replace two bags (Eureka! 20 degree bag and Backside 0 degree bag) figuring that I wanted to do some Adirondack camping and would like the option to camp four seasons. At the time of purchase this system came with a free pillow made from the same material, but didn't come with its own stuff sack which wasn't a big deal, but would have been nice. The system was also on sale at the time, Wiggy's was having a sale that basically said times are tough, and we want people to still be able to get outdoors (I don't remember the exact sale verbiage, but that's the basic information) which put the bag at an incredibly affordable price. I purchased the Super Light FTRSS (Flexible Temperature Range Sleep System) and purchased it in Long Length, Wide Body size. The reason for this purchase was due to how I like to sleep, move around and usually sleep with layers of clothes or clothes stuffed into my bag. To date, I've used the bag in Kentucky, Maine, and Northeast PA, typically in the summer/autumn months. I also used the bag during the winter in PA after Hurricane Sandy when I was without power/heat for about a week. So, in relation to warmth, I would say that the bag fulfilled its duty. 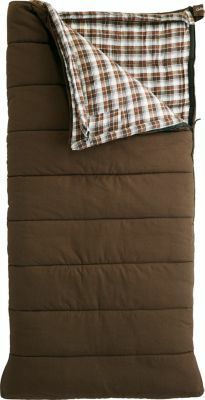 I was comfortable, without the overbag on cool nights camping, and in the winter at my house. The bag fits comfortably, in fact may have gone too big getting the wide body bag. In relation to length, the bag suits me fine at 6'0". The footbox is comfortable, as well as the hood, which is big and well padded. Getting in and out of the bag is easy, and the zippers are great, as I haven't had them snag yet (not that I'm expecting them to). The bag definitely holds up in the rain, even with rain inside the bag. One of the cool nights in Kentucky we stayed outside of the tent and it rained, in which my bag got wet inside and out. After dumping out the water and then climbing in the bag, it wasn't cold like I expected it was warm and the water evaporated quickly. Overall, I'm pleased with this purchase. From the zippers, seams, the loft, the durability and comfort of this bag, I can tell that it will last me awhile. What's even better is that this bag can be stored compressed in it's sack. There's no need to lay it out and loosely fold it or hang it to keep it's loft. The bag bounces back without any issues. There's also no need to wait awhile before washing it like other bags. After every trip you can throw it in the washer if you wanted and just hang it up to dry or use a dryer on no/low heat (Turn the bag inside out, unzipped and wash on a gentle cycle using a technical detergent — I use GoSoap for this or use less then recommended regular detergent with dissolved baking soda for the wash and White Distilled Vinegar for the Rinse Cycle). I've had this bag a little over two years and used it on three trips and after power loss from Hurricane Sandy. 2015 puts this bag to the test with a winter camping trip in upstate N.Y. in the Adirondacks. However, I'm not concerned that the bag will fail or will not meet my expectations, as so far it's performance has exceeded my expectations. 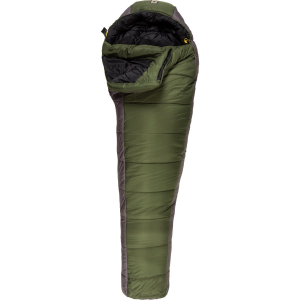 The bottom line is that if you are looking for a sleeping bag then you've been shopping around, reading reviews and trying to figure out the budget for a bag. Think of it like this, one thing you don't want to do is go cheap on a bag. Take that money and put it towards Wiggy's FTRSS bags and you won't be disappointed. You get flexibility in a 4 season bag, and a bag that's not overly heavy and can compress down quite well (if you stuff the entire system in one sack, it's bulky and doesn't compress too well for me). Slept comfortably warm in this bag with the matching bivy @ 11 deg F without a tent. I was wearing a sweater, wool socks and pants. Awesome bag. 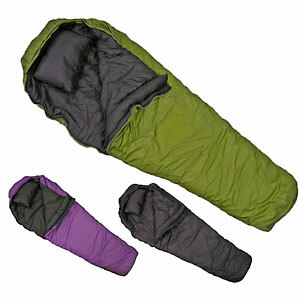 When I was in the market to buy a new sleeping system, I looked for 2 things, 1) light weight and packability. 2) an all weather all conditions bag. I found the Wiggy Super Light FTRSS and have never looked back. I have slept in the rain, heat, freezing rain snow etc. I was even hailed on a few times and it has never let me down. Since I bought it from Wiggy's factory direct, I even recieve his monthly newsletters which are always a hoot to read. I can highly suggest this bag to anyone that is willing to pay for it. I must also say that it is about as maint. free as they come. I simply wash it once in a while, let it dry and stuff it back in the compression bag. It has never ripped, stained, faded or worn in any way. I just took it out and looked at it to prove this to myself. If you're not looking for the bag that all your outdoor buddies have, and want a great sleeping system depend on Wiggy. Just found this site, looking for Wiggy's site. I was amazed to read some of the other stories in regard to their experience with Wiggy's. I have no reason to doubt either side in that, I can only relate my own experience. I ordered a number of bags from a Wiggy's dealer in 1999. They were drop shipped to me directly from Wiggy's, and arrived in large cardboard boxes. I ordered bags for myself and girlfriend, and three relatives at the same time, as well as the lamilite ground pads. I'm sure I made my dealer's day, that day. I can only relate firsthand experience for the Superlight FTRSS product (though all bags are still in use at this time). I am by far the heaviest user of the sleeping bags; I grew up within a scout troop that camped a minumum of one weekend a month, and that during the school year. I have let up somewhat since then. I ordered the larger width/long bags, as I am more comfortable with more room in the width. This upped the weight somewhat but I prefer comfort in my sleeps compared to a hair more bulk and weight when packed. The small pillow is nice, though bulky and does not smash down too well for backpacking; I tend to carry it anyway, if not doing a major trek, since it is quite soft on the surface, but firm enough. Hard to explain, kind of like finding a perfect mattress. The pillow surface seems to be the same soft synthetic fabric used on the inside of the sleeping bag. The overbag is rated at 35 degrees I believe, but is generally comfortable enough to use daily, at home. My home temperature is generally around 60 degrees, and I find that the overbag works fine at that temperature, usually with minimal venting. The stuff sacks for the bags do not seem to be anything special, but have worked fine when I used them. I often leave this at home, because my pack has a compression section for the sleeping bag built in. I try not to store any of my sleeping bags under compression, between trips. I have tried this bag recently in a 36 degree Oklahoma night, without a tent, and wrapped in 1/2 of a shelter half. I slept fine; I was wearing good socks and reasonable long underwear, and a good cap. A ground pad would have helped for the comfort, but I really didn't get cold, and was expecting to with near earth to bag contact (a shelter half is not too thick or insulating, but kept the bag cleaner for sure). I did deliberately test the two bags in January of 1999 when new. I set up a 3-season tent, not one I would have taken backpacking in that season, to the side of my patio. I laid the bags out on the patio to "warm up" for several hours prior to going to bed. I placed the lamilite pad (much too big for back packing, in my opinion, but nice for base camp) in the tent at the same time. The overbag was not warm enough for an hour's test in the backyard that night, the temperature was 6 degrees. Big surprise, eh? But as one other person stated, I felt more comfortable testing a new product close to home. I did not expect it to be warm, and at that point moved the superlight bag into the tent. I found that within 10 minutes after sliding into that icy bag, I was verging on comfortable, it was a huge improvement! In 5 more minutes, I was comfortable enough to go to sleep, which I did. For the test, I decided on no long underwear, my standard heavy wool socks, and no cap -- just to test a somewhat worse case than where I was at. Since that time, the lowest I have been able to test the bags was approximately -12 fahr. I did join the bags up, and found them a little tight when joined, but did not mind that too much given the temperature, and the wind through a rip in that tent. We were sleeping on snow, I had a thermarest 1.5" thick air pad, and no lamilite pad. I was warm enough that I left the hood somewhat loose on my head. I -might- have been able to get away with just the superlight bag without the overbag, since I had on good underclothing, etc. but did not want to chance it where I was, not to mention getting up and joining them if I was already cold there. Another good night's sleep. I use the overbag daily, and have since 2000. Honestly, it is not looking very pretty. It does get machine washed, and tumbled dry (no heat at all, 2 x 65 minute cycles) about every other week. The insulation was fairly thin in that bag to start with, I have no idea of the 'loft' either bag had when new, the woodland (custom color) overbag on my bed just measured about 2.5 inches tall total, as it laid out flat, so I'm guessing the top lofts at least half of that figure. I have not had any problem in cold weather without the draft collar, but your mileage may vary. I just use the top cinch cord portion to draw around my face, and the bottom to tighten up the neck area. In several trips out with one or the other of these bags, they have gotten wet, and while I did not enjoy the sensation of sleeping in a wet bag, I was able to sleep fine once I got to sleep. I did find that they seemed to retain their warmth just fine when wet, which was a major selling point for me (I had some rather expensive down bags prior to this, that did compress a bit tighter, but were terrible in the wet, and not fun to have cleaned). I do not consider the Wiggy's bags fancy; they seem to be made well based on my using experience, but I am not about to cut mine open to look inside. I have never dry cleaned these, it has always been the washer. The zipper as some have mentioned is rather huge, but has not been a problem for me. I plan to replace my high mileage overbag at some point here in the future; there is a small tear inside the current one, I imagine from a washing machine but don't know for sure. The lamilite has stayed inside the overbag fine though. I would buy this, as I don't think it was from a defect, and I think I've gotten more than my money's worth from that overbag. If I were to be sent somewhere in service now, I would try to pick a single Wiggy's bag that would handle the lowest temp, and be ventable for the higher temps. I have only talked with Wiggy once, but I don't remember anything harsh when I asked for some additional details and to correct a shipping damage claim on one set of bags. I am going to call this week and ask if he will make up a "junior bag" for my niece, since she is 2 I don't think the standard length bag will be necessary yet :) I expect to need to replace my overbag at some point; it is "drapeable" enough and feels good enough that I still enjoy using it daily (what do you expect from the hundreds of campouts as a lad?). I am a very satisifed customer, and I've recommended these products to a large number of friends; those who have bought them have had good experiences. I would not want a friend upset with me for a bad recommendation, so I don't tend to recommend many products, this one I do. Save your money! I bought this system last year in hopes of doing some late winter camping. I lived in the northern Adirondacks and had weeks on end of sub 0 temps. Fortunately, I decided to test the bags first before taking them afield. I first tried the the 32 degree bag in a cold storage room off of our garage. The temperature was 28 degrees F and I was lying on a ridge rest ground mat and shag carpeting, well it didn't take long until my feet were freezing and I could not get them warm. I didn't give up here though, I still wanted to test the rest of the system so I moved outdoors with the 0 degree bag. I tested this bag at temps from 10 above down to zero and the bag always seemed to lose heat in the foot region extremely quickly and it didn't matter if I wore wool socks or not. One night while laying outside at 3 below zero I started to wonder if I was just getting soft and couldn't take the cold as well as I thought could so I packed up my stuff and went into the house with my painfully frozen feet. My wife, thinking I had finally come to my senses, was relieved to see me come back indoors. Her relief was only temporary as I grabbed my old down 10 degree marmot bag and went back outside. As expected, sliding into the ice cold nylon was not fun but the bag quickly heated up and even warmed my hurting feet. I layed there for some time and remained extremely comfortable. I read a lot of good reviews about Wiggy's before buying it and I wonder if these people really test their gear. I should have believed the one review I read by a gentleman who teaches mountain search and rescue and spends many nights in the cold. He said he almost froze to death in his and he uses it in his classes to show what not to buy. Anyways, I've always been an individual who sleeps hot and if this bag did not work for me during numerous test nights I don't think many people will be happy with it. It also packs large and weighs more than stated. This bag went back in a hurry and I purchased a Cabela's XPG goose down -40, this bag is a nylon oven. I'm a gear fanatic and between my wife and I, own bags from the North Face, Sierra Design, Marmot, L.L. Bean and a few others that are so old the name is history and no bag has impressed me less. Excellent system in that it is three bags in one. Excellent system in that it is three bags in one. The outer layer (2.5 lbs) works well down to freezing, the inner layer alone works well down to about 0 deg F, and the two combined I haven't had to use yet! Used the inner bag alone down in Chile's southern region of Tierra del Fuego, with a bivy sack and no tent and slept comfortably. The bag is not high tech or stylish, but it gets the job done well. It compresses very compactly, is machine washable and dryable, and comes with a lifetime guarantee. It even comes with a pillow! There are lighter, more stylish bags on the market, but none that work any better. The temperature ratings are very accurate. This is a multi bag system that consists of a +35 over bag and a +0 Superlight. Combined they are rated at -40. I have found both bags to be very well made. The Lamilite insulation is the softest synthetic insulation I have ever used and drapes around me like a down bag. Construction is simple and durable, with no bells or whistles. They are more bulky than my previous Prima-Loft bag, but then again they aren't as flat as that bag became either. If you value durability more that compactability or weight, then these bags are excellent choices. As far as the comments on Mr. Wigutow, I personally haven't had any problems with him in my conversations. One note about loft. I have had a Quallofil Kelty bag and a Prima-Loft filled Caribou that both went flat very quickly. Kelty never even acknowledged my complaints and I didn't even try with Caribou. This is no excuse for Mr. Wigutow's alleged behavior, but his bags have held their loft mush better than my other synthetic bags I've owned in the past. The Wiggy's Super Light FTRSS is not available from the stores we monitor.